Amedeo Amedei is graduated with full marks and honours in Biology at Florence University in 1996. He started his scientific career studying the role of Th1/Th2 lymphocytes in GVHD, atopicdermatitis and kidneyrejection. After he examined the role of Helicobacterpylori-specific immune response in gastricdiseases. In 2003 began his doctor’s degree in "Clinical and Sperimental Medicine". In 2005 he became researcher at Department of Experimental and Clinical Medicine (University of Florence), where in 2015 he was appointed Associate Professor. Recently, he has focused his scientific interests on the cancer immunology. 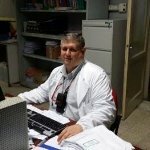 The great quality of his international profile is documented by scientific production: 126 peer reviewed articles (3474 Citations), 6 book chapters and one patent.The Prof.Amedei is serving as an editorial board member of 56 international journals and carries out activities as scientific reviewer for international research projects of private and public entities. Infectious diseases, General pathology, Immunology, Immunohematology, Immunological techniques. Jaime Ruiz-Tovar MD, PhD, is General and Digestive Surgeon at University Hospital Rey Juan Carlos (Madrid-Spain), where he is specialized in bariatric surgery. Professor of Surgery at Universidad Rey Juan Carlos. Secretary of the Surgical Infections Section of the Spanish Surgical Society. Head of the Bariatric Surgery section of the ERAS-Spain group (Enhanced Recovery After Surgery). He actually leads several investigational projects focused on bariatric surgery and surgical infections. Giulio Tarro is graduated from Medicine School, Naples University (1962). Research Associate, Division of Virology and Cancer Research, Children’s Hospital (1965-1968), Assistant Professor of Research Pediatrics, College Medicine (1968-1969), Cincinnati University, Ohio. Oncological Virology Professor, Naples University (1972-1985). Chief Division Virology (1973-2003), Head Department Diagnostic Laboratories, (2003-2006). D. Cotugno Hospital for Infectious Diseases, Naples Emeritus, 2006 -. Since 2007 Chairman Committee of Biotechnologies and VirusSphere, World Academy Biomedical Technologies, UNESCO, Adjunct Professor Department Biology, Temple University, College of Science and Technology, Philadelphia, recipient of the Sbarro Health Research Organization lifetime achievement award (2010). Editor in Chief of Journal of Vaccine Research and Development, Singapore. 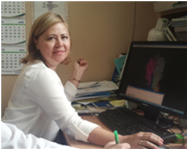 Yulia Desheva have finished the practical training courses in Infectious diseases at the Institute for Influenza in 1992. In 1998, she has received her PhD degree in Virology at the Institute of Experimental Medicine. She was engaged in working-out of the optimal scheme for influenza vaccination in the elderly with chronically disorders. She has her expertise in development and evaluation of live influenza vaccines (LAIV). Through her work there was approved the use of LAIV based on master donor strain A/Leningrad /134/17/57 (H2N2) as an universal vaccine preparation for all ages ranging from 3 years in Russia. In 2001 and during 2003-2004 she worked as a guest researcher at the Centers for Diseases control and prevention, Atlanta, USA where she developed and evaluated a number of vaccine strains against avian influenza viruses. Since 2013, she holds the position of Professor at the Saint Petersburg State University. The great quality of her experience documented by the number of scientific publications in Russian and international journals and patents. She participates as scientific reviewer for several international journals. Graduated with honors in Biology, Health and Biotechnology, with specialization in pathophysiology at the Institute of Cardiovascular and Metabolic Diseases (Toulouse, France). My research projects dealt with different aspects of heart failure and lung diseases to identify new therapeutic targets and strategies. During my early research career, I identified new Epac inhibitors and provided new alternatives for treating patients with heart failure or cancer. I also investigated for the first time the role of Carabin in cardiac hypertrophy and heart failure and identify a new potent therapeutic target. At the Institute of Cardiology and Pneumology of Quebec (Canada), I investigated the role of the receptor RAGE in pulmonary hypertension and its signaling pathway implicated in the vascular remodeling. At the Department of Pathology at Yale University (Connecticut, United States), my expertise in cell signaling and molecular pharmacology allowed me to investigate the role of pro-survival pathways and acquired-mutations of the EZH2 gene in conferring resistance to the EZH2 inhibitors-targeted therapies in Lymphoma. More recently, I accepted a new position in the Department of Cardiology at the Cardiovascular Research Center, at Mount Sinai (NewYork, United States) and initiated my studies on the identification and characterization of innovative therapeutic targets in lung diseases. I have been invited to critically review research articles submitted to many acclaimed "high-impact” journals, which all are internationally-renowned journals and very highly influential in cardiovascular research. I have been also providing peer review comments for internationals journal focusing on lung cancer research and the identification of therapeutic targets. My specific research areas are focused on vascular physiopathology and somatic gene transfer for treating pulmonary arterial hypertension (PAH), lung fibrosis and heart failure. Despite extensive research efforts in experimental and clinical studies, PAH and lung fibrosis remain an increasing cause of morbidity and mortality. There is a compelling need to develop more effective and reliable therapeutic. Therefore, my current research interest includes: 1. Regulation of gene-expression in PAH. 2. Identification of novel therapeutic strategies in Pulmonary fibrosis by using targeted-gene therapy. 3.Role of SERCA2a and its signaling pathways in vascular remodeling diseases and heart failure. Antonello Nicolini is currently working as a Chest physician, Director of Respiratory Diseases Unit ,Hospital of Sestri Levante – Italy and as a Chief in ALS Center - Chief in Asthma Center Hospital of Sestri Levante,Italy. He is a Professor of Pulmonolgy at Physiotherapy School , University of Genoa, Italy. He is an Authored 103 scientific articles published in Italian and International Journals. He is acting as a member of Editorial Board of the International scientific journals of high repute. He reviewed many scientific papers. He is actively contributing towards the scientific advancements. Dr. MotaharHeidari-Beni, PhD in Nutrition Sciences. I worked in Child Growth and Development Research Center, Research Institute for Primordial Prevention of Non-Communicable Disease, Isfahan University of Medical Sciences, Isfahan, Iran.Her interested topics includingNon-Communicable Disease,Epidemiology,Child Growth,Medicine and Genetics. She collaborates as Editorial Board Membership in more than 12 Journals and as Reviewers in more than 10 Journals. She has contributed to more than 50 publications in ISI Journals, Book Chapters, or as Medical Reports. Juzar Ali has worked internationally in the field of tuberculosis, and at the LSU Health Sciences Center has developed programs that contribute to the education of medical students, allied health professionals, and the community. His clincial research interests include the diagnosis and management of tuberculosis and non-tuberculosis mycobacterial disease, and he has participated in various multicenter studies and trials of tuberculosis and atypical Mycobacteria. He has co-authored a textbook, Pulmonary Pathophysiology, a symptom-based clinical and pathophysiologic review of lung diseases. He has also developed a Chest Radiology PRE-TEST series for medical students and residents. He is a respected educator and recipient of numerous teaching awards. He was recently recognized as a member of the Best Doctors in America and at a national level was awarded the Fulbright Scholar Teaching Grant and Alumni award and Fulbright Senior Scholar Award. He has been a Visiting Faculty to Vietnam under the US-Vietnam Education Fund. Haritha Adhikarla received her Ph.D. in Biochemistry from the Osmania University, India in 2009 under the guidance of Dr. Maruthi Mohan and her research was focused on Metal Transportomes of Pseudomonas spp. During her graduation she initiated collaboration with Universite Lyon 1 and was supported by Indo-French center for promotion of advanced research (IFCPAR). Subsequently she joined as a Post-doctoral fellow in Dr. Vijay Pancholi’s lab at the Ohio State university Wexner Medical center, Columbus. During her post-doctoral training from 2009 to 2010, her research interests were focused on understanding pathogenesis of Gram positive pathogen Enterococcus. In 2011, she joined the Sanofi Company- Shantha Biotechnics as Scientist I and played a key role in development of Analytical Molecular Biology Team. In 2013 she joined as a Post-doctoral Associate in the research group of Dr. Albert Ko at Yale School of Public Health and is currently working as an Associate Research Scientist. At Yale her research interests are focused in the fields of Leptospira Pathogenesis and Vaccine biology. 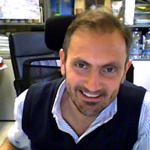 Mauro Luisetto has obtained his Pharm D in 1995 from the Turin University. Working as Public hospital pharmacist manager since 2008 at Piacenza Area, Italy. European specialist in laboratory medicine ec4 registered in 2014. He has hospital skills and knowledge in medicine laboratory, biochemistry, toxicology-pharmacology lab analyses, therapeutic drug monitoring and have experience as a community pharmacist. Several course in management field (project, strategic, change management, total quality management, knowledge management, Healthcare management and Human resource management). 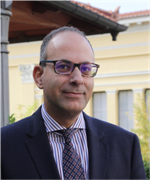 Nikolaos Papanas is Associate Professor in Internal Medicine-Diabetes Mellitus at Democritus University of Thrace, Greece. He has been specialized in diabetes and its complications in the Diabetes Center and the Diabetic Foot Clinic at King’s College Hospital, London, UK, as well as in the German Diabetes Center at the Heinrich Heine University, Düsseldorf, Germany. He has established an ongoing collaboration with the neuropathy study group of the German Diabetes Center in Düsseldorf. He has published more than 230 papers in peer-reviewed journals and serves in the editorial board of 25 i nternational journals. He has also participated with numerous presentations in Greek and European medical congresses and repeatedly served as invited reviewer in medical journals. He has served in the Executive Committee of the Hellenic Society for Angiology. He is currently a member in the Executive Committee of the Study Group on Diabetes and Nervous System of the German Diabetes Association (DDG). He is also a member of the Executive Committee of the Greek Society for the Study of the Diabetic Foot. He has served as Secretary General and is currently the President of the Hellenic Diabetes Association. He is also Vice President of the Diabetic Foot Study Group (DFSG) of the European Association for the Study of Diabetes (EASD). Paulo Renato Zuquim Antas is a Professor of Biology and an Associate Researcher. He completed both Msc and PhD at Oswaldo Cruz Institute, FIOCRUZ, Brazil, He is also working as Editorial Board member and Reviewer for scientific journals. His wrote Book chapters and e books. In the last 5 years, he has been working in a group that develops research on the field of clinical immune response of vaccinations against human Tuberculosis (TB), especially for cellular immunology area. Most of his scientific time is currently dedicated to study several aspects of the immune response in TB, such as the involvement of inflammatory cytokines, and the T cells on the immune response to mycobacterium as a whole. As a result, he has accumulated significant data and thus experience in this field. 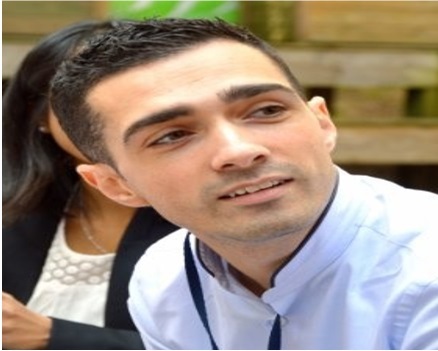 He spent time working in projects related to cytokine detection in patients with prior (cured) extra pulmonary TB, comparing them to those responses among persons with either pulmonary or latent infection. Therefore, accumulated data have shown defects in resting cytokine production, and have also noted lower CD4 counts in HIV-seronegative patients. Primarily, these results provide evidence of defects in innate immune responses and the group published a paper raising the hypothesis of possible genetic predisposition to these immunologic defects. This work in genetics has provided him with yet another laboratory skill set that has been complementing the skills he has gained in TB immunology thus far. Also, he has been working on innate immune response against TB in individuals naturally exposed to Mycobacterium tuberculosis in the Laboratory of Clinical Immunology (FIOCRUZ) since 2007. Particularly, he often master techniques of cell culture, flow cytometry, western-blotting, ELISA, ELISPOT and Luminex, in which he is sure would share knowledge with others investigators regarding courses to the students. BCG vaccine (in vitro models), Human Tuberculosis (cell-mediated imune response), Hyalohyphomycosis (mice model), Co-infections (in vitro models). 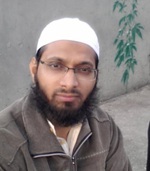 Nafees Ahmad is working as Senior lecturer in MONASH University Malaysia (MUM). He obtained M.S. (Pharm) and PhD in Natural Products chemistry/Medicinal Chemistry from National Institute of Pharmaceutical Education and Research (NIPER), Mohali, India. He worked on total synthesis of natural products, synthesis of new chemical analogues for discovery of new anti-HIV agents based on natural products templates. Before joining MUM as lecturer, he was a Postdoctoral Research Fellow in Department of Medicinal Chemistry, School of Pharmaceutical Sciences, UniversitiSains Malaysia (USM) Penang. His current areas are computational based rational design and synthesis of new drug candidates for HIV-1, dengue and other therapeutics. Design and Synthesis of New Chemical Entities (NCE’s) for biological evaluation. To explore the functions of biologically active lead structures by modifying them (lead optimization) and enhancing the biological or medical significance with simpler scaffolds designed for ease of synthesis. Computational chemistry, Modeling, Docking and 3D-QSAR studies. Development of new synthetic methodologies for construction of various heterocyclic ring systems present in natural products. Study of Drug/Ligand and Protein/Target interaction using STD NMR (Epitope Mapping Studies). Design and development of new reactions, methods, reagents, and strategies that introduce fundamentally novel ways of synthesizing complex molecules of biological or medicinal significance. Development of Greener techniques for synthesis. Study of Structure Activity Relationship (SAR) of synthesized derivatives for various biological activities. Total synthesis of biologically active natural products. Dr. Viroj Wiwanitkit is presently working as a professor in Hainan Medical University, Thailand. He is an Editorial Board member in various international journals. He has received many academic honors. He has more than 1500 publications in International Journals and has given more than 150 presentations in international congress. Mohemid Maddallah Al-Jebouri is a Professor in the Department of Microbiology, College of Medicine at University of Tikrit, Iraq. He received his Postdoctorate Diploma training in the UK Public Health Laboratories 1980. He also worked as lecturer and as assistant professor at University of Mosul. He is a member of different scientific societies. He has published many articles and has written 4 books. Dr. Alireza Heidari, Ph.D., D.Sc. is a Full Professor and Academic Tenure of Chemistryat California South University (CSU), Irvine, California, USA. He has got his Ph.D. and D.Sc. degrees from California South University (CSU), Irvine, California, USA. Furthermore, he has double postdocs in Project Management, Oncology, Human Cancer Tissues and Synchrotron Radiation from Monash University, Melbourne, Victoria, Australia and also in Nanochemistry and Modern Molecular Electronic–Structure Computations Theory from California South University (CSU), Irvine, California, USA. His research interests include Biophysical Chemistry, Biomolecular Spectroscopy, Quantum Chemistry, Nanochemistry, Modern Electronic Structure Computations, Theoretical Chemistry, Mathematical Chemistry, Computational Chemistry, Vibrational Spectroscopy, Molecular Modelling, Ab initio & Density Functional Methods, Molecular Structure, Biochemistry, Molecular Simulation, Pharmaceutical Chemistry, Medicinal Chemistry, Oncology, Synchrotron Radiation, Synchrocyclotron Radiation, LASER, Anti–Cancer Nano Drugs, Nano Drugs Delivery, ATR–FTIR Spectroscopy, Raman Spectroscopy, Intelligent Molecules, Molecular Dynamics, Biosensors, Biomarkers, Molecular Diagnostics, Numerical Chemistry, Nucleic Acids, DNA/RNA Monitoring, DNA/RNA Hypermethylation & Hypomethylation, Human Cancer Tissues, Human Cancer Cells, Tumors, Cancer Tissues, Cancer Cells, etc. He has participated at more than three hundreds reputed international conferences, seminars, congresses, symposiums and forums around the world as yet. Also, he possesses many published articles in Science Citation Index (SCI)/International Scientific Indexing (ISI) Journals. It should be noted that he has visited many universities or scientific and academic research institutes in different countries such as United States, United Kingdom, Canada, Australia, New Zealand, Scotland, Ireland, Netherlands, Belgium, Denmark, Greece, Russia, Estonia, Ukraine, Turkey, France, Swiss, Germany, Sweden, Norway, Italy, Austria, Czech Republic, Hungary, Poland, South Africa, Egypt, Brazil, Spain, Portugal, Mexico, Japan, Singapore, Malaysia, Thailand, Taiwan, Hong Kong, South Korea, China, India, Qatar, United Arab Emirates, etc. as research fellow, sabbatical and volunteer researcher or visitor and so on heretofore. He has a history of several years of teaching for college students and various disciplines and trends in different universities. Moreover, he has been a senior advisor in various industry and factories. He is expert in many computer programs and programming languages. Hitherto, he has authored more than twenty books and book chapters in different fields of Chemistry. Syne, he has been awarded more than nine hundreds reputed international awards, prizes, scholarships and honors. Heretofore, he has multiple editorial duties in many reputed international journals, books and publishers. Hitherward, he is a member of more than three hundreds reputed international academic–scientific–research institutes around the world. It should be noted that he is currently the President of American International Standards Institute (AISI), Irvine, California, USA and alsoDirector of the BioSpectroscopy Core Research Laboratory at California South University (CSU), Irvine, California, USA.